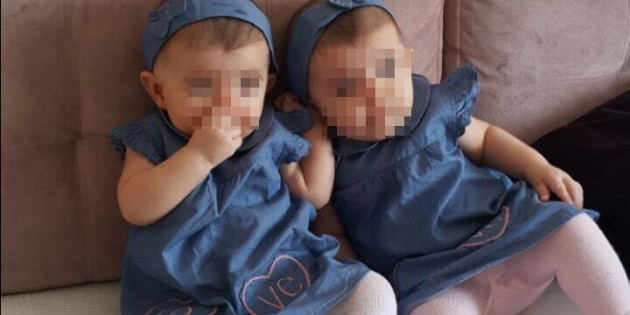 Twin daughters of the Istanbul-based Şengün family were handed over to their 65-year-old grandmother as both E. Şengün and his wife F. were arrested after being kept under detention for 30 days, on Nov. 2, 2016. The children were only 7-months-old when their parents were jailed and they are about to turn one with no father or mother in company. The couple was detained, after an anonymous complaint, as part of a post-coup investigation into the Gülen movement and E. Şengün was reportedly subjected to beating in detention. Şengün was an active teacher before she took a maternal leave to give birth to the twins last year. Now, her breastmilk has dried up reportedly due to poor conditions and the depressive period she has been going through in the prison. The grandmother no longer takes children to their mom for breastfeeding. Meanwhile, E. Şengün suffered from loss in weight due to the similar reasons. According to Aktifhaber news portal, the grandmother wants at least release of the twins’ mother as she has been having difficulties in looking after the babies on her own.